The Ghost is the one and the only weapon forged by the hands of The Gravemind herself from all the souls of millions of versions of herself, and when all of those souls were mashed and forced into a given shape they gave way to The Ghost. 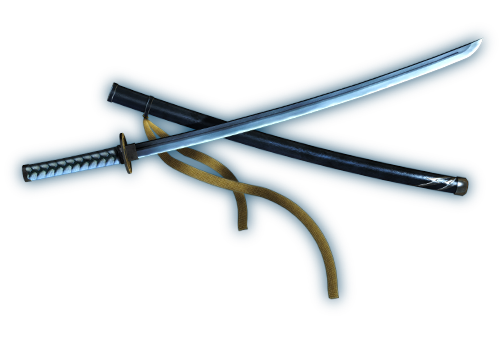 The sword itself is shaper than any normal Katana looking blade, the big difference is that this sword was made for killing her other selves, and anyone who's had contact with them. The Ghost is also able to cut open space itself for traveling and or teleporting wherever she wishes to go.